Know what happens when a blogger puts in effort for her advertorials? Advertisers are happy cos I review their products well, readers are happy cos I REALLY put in effort in making sure they know which are the good buys, the blogger is happy because she gets more advertorials and free gifts from the advertisers! This time, I have with me Next Avenue!!!! Look what Next Avenue sent me! Palgantong Morning Makeup Set by DoDo Club! Consists of the One Touch BB Cream SPF15, Dodo Loose Powder, and a fluffy pretty pink powder puff. And it comes with the pouch you see in the picture above, so it's very handy for bringing around! Included with the loose powder is another small powder puff! I personally love using the pretty pink one though. Makes me feel all princessy just using it. Lol~ But for precise application under the eye area, stick to this. The fluffy one can get messy. I love how the BB cream substitutes my liquid foundation. Now couldn't be a better time to show you before-after photos. Have been down with flu and on-off fever for the past 4 days. It's like no matter how much I sleep, I still wake up tired and scaring myself when I look in the mirror. I DID warn you....the dark eye rings themselves scared myself silly. I look human again!!! No foundation leh! Set with the loose powder and some blusher, together with the dummy specs (it has no lenses!) to hide the dark circles, I think I look pretty decent here. This was the other item I got! Apparently this item is HUGE in Hong Kong and Taiwan!!! This Beely Eyelash Growth promises to lengthen your eyelashes by at least 3mm, & up to 7mm!!! WAH~~~~ Think mine probably won't grow so much la, cos it's already so long. But it's worth a shot!!! A close-up look. After applying the Eyelash Growth Serum. It's actually watery and comes with your normal mascara brush applicator. Which explains why my lashes look wet. Usage directions: Apply morning and night. Can be used before applying mascara. I'm going to use it for a week and show you guys the results!!! Meanwhile, you can win this product!!!! Leave a comment telling me why you should win this (you can email me pictures if you want! 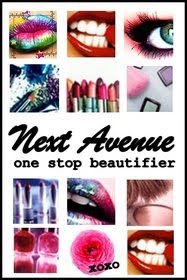 ), and Next Avenue will select one lucky winner!!! You have 7 days. Closing date's 10th August, right after National Day!!! Hurry!!! !